Hyde Park Executive Apartments are located in the cosmopolitan area of London’s Bayswater. 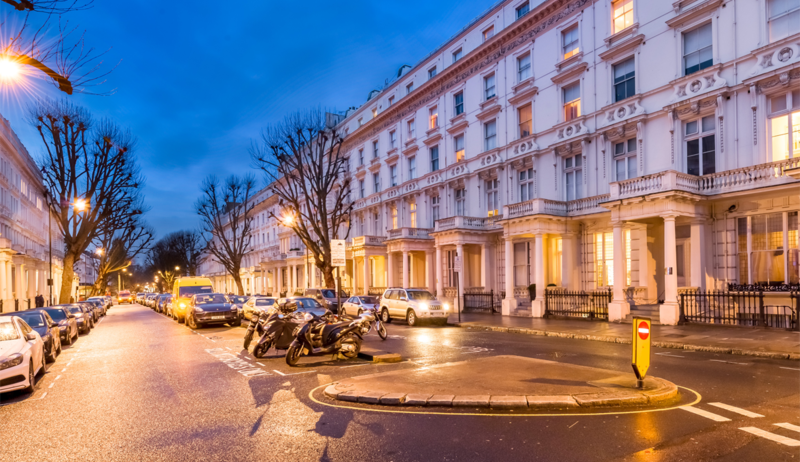 Bayswater is considered one of London’s most architecturally traditional areas. It is well known for its close proximity to London’s Hyde Park. To the north it borders Kensington Garden. Bayswater is one of London’s most cosmopolitan areas. There is a high concentration of hotels in the area with Hyde Park Executive Apartments commanding an excellent location and affordable accomodation. On walking through Baywater pillared Georgian terraces and neat garden squares are visible. Our Spacious, bright and stunning Apartments feature elegant furnishings, superb decor and lavish ensuite bathrooms. All our ensuites include a power shower, providing total comfort and wellbeing. Our modern and attractive Kitchenettes include a microwave/oven, ceramic hob, Fridge/freezer and all the necessary kitchen utensils. Our Apartments also come fully equipped with 20 inch Plasma Screen TV’s, iron and ironing boards, built in wardrobes and central heating. Our Apartments range in size and present a combination of both style and function, in order to tender to our guests requirements. Bayswater has a diverse community with a large Greek, Arab, French, American & Brazilian community residing here. On Edgware Road in summer time the air is rich with the scents of Okacbasi barbecues and shisha pipes and the sounds of Middle Eastern and North African music. The American community are based around the famous Whiteley’s Shopping centre, a century-old department store that was the closest thing London had to a US-style mall prior to the opening of Westfields. Baywater has a large, diverse range of cuisine options available to suit every taste. Options include Italian Cuisine, Indian Cuisine, British Cuisine, Greek Cuisine , Thai Cuisine, Spanish Cuisine and many more options. Whitley’s shopping centre is one of the biggest attractions in Bayswater which is host to a number of high street names, boutiques, restaurants and a cinema. Queen’s Ice and Bowl is the oldest ice rink in the United Kingdom, opened in October 1930. Queens remains the only permanent ice rink in central London. Tube: Bayswater Tube station is on the Circle and District Line services. Other nearby stations include Royal Oak, Edgware Road, Lancaster Gate and Paddington. Rail: Paddington station offers services to the western suburbs and other destinations including Devon, Cornwall, Bristol and Wales. The Heathrow Express, which will take you to the airport in 15 minutes. Bus: There are superb bus connections to all over London, including the 7 (to Russell Square), the 23 (to Liverpool Street), the 27 (to Chalk Farm), the 70 (to Acton) and the 148 (to Camberwell Green). Road: Bayswater is a 25 minute drive from the M4 and M25. Airport: Great road access means it’s only 25 minutes to Heathrow airport.